St. Louis, MO: The recent filing of a Zoloft birth defects lawsuit underscores the pain, heartbreak and frustration evident in the plaintiffs—parents of innocent children who came into the world saddled with life-altering defects allegedly at the behest of the SSRI antidepressant, Zoloft. It is no secret that antidepressants have been a success for pharmaceutical companies. They also represent important options in the tool belts and treating protocols of psychiatrists and medical doctors, for the treatment of depression. However, the link between Selective Serotonin Reuptake Inhibitors and birth defects, such as Zoloft cleft palate, have driven the parents of 18 children suffering from Zoloft defects to the courts. Reuters reports that the lawsuit filed by plaintiff Shainyah Lancaster et al last month in St. Louis, accuses Zoloft manufacturer Pfizer of suppressing information to the medical community and the public at large as to the risks associated with Zoloft when used by women of childbearing age. The lawsuit further alleges that Pfizer knew or should have known of the existence of SSRI studies, which suggested a greater risk of congenital birth defects in concert with a Zoloft pregnancy. The Zoloft birth defects lawsuit further alleges that Pfizer was aware that Zoloft was being prescribed to pregnant women by their doctors, but that Pfizer failed to warn the medical community about the risks. Zoloft has been the center of controversy for some time. Dr. Sidney Wolfe, of the consumer advocacy group Public Citizen, took Pfizer to task for promoting Zoloft for unapproved uses. In a statement released in October 1996, Wolfe referenced a communiqué directed to Pfizer from the US Food and Drug Administration (FDA) in August of that year, chastising Pfizer for promoting Zoloft for use in cardiac patients with depression, amongst other unapproved uses. The particular afflictions of the 18 children who allegedly suffer from Zoloft birth defects were not identified in the news reports. 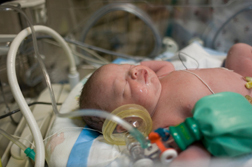 However, regardless of the defect suffered by the Zoloft child—Zoloft PPHN, cleft palate or Zoloft heart defects—it is assumed that their parents are facing a lifetime of stormy seas as the result of having a Zoloft newborn. As Zoloft parents face reality, they equally expect Pfizer to face the music.